Every month, we’ve started doing a Twitter chat here over at icelolly.com! 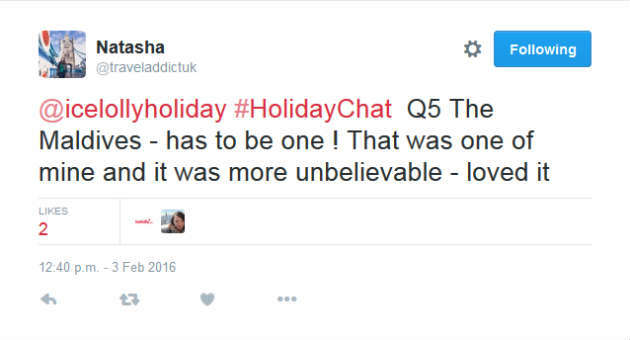 We’ve called it #HolidayChat because we all know holidays are one of our favourite things to talk about! 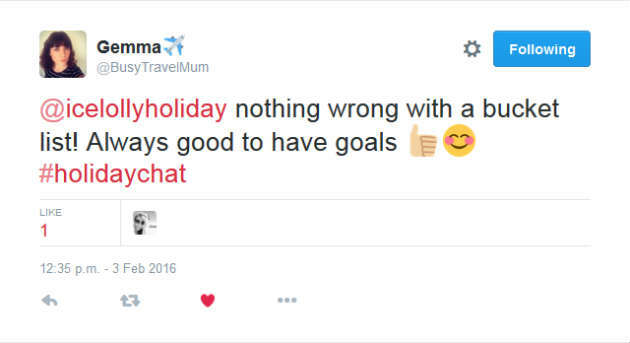 Our most recent #HolidayChat was on Wednesday 3rd February where we talked about “Your Holiday Bucket Lists” and here are our favourite answers from the evening. What destinations are on your holiday bucket list and why? 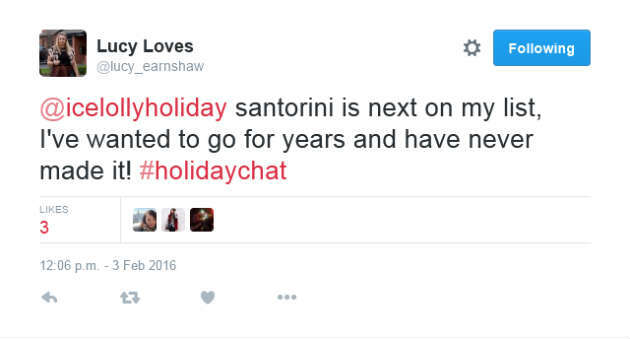 Santorini is a dream destination for Lucy and we definitely agree with her. We'd love to see the beautiful sunsets on this Greek Island. Iceland was definitely a popular bucket list destination and Bali would be perfect for a tropical long haul holiday! Have you ever been to one of your bucket list destinations before? Hands up, who else wants to see the Grand Canyon? 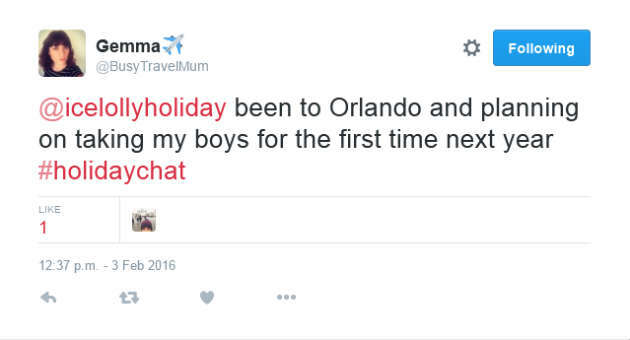 Orlando is a favourite of ours too, especially for the theme parks! Are you ticking something off your bucket list this year? 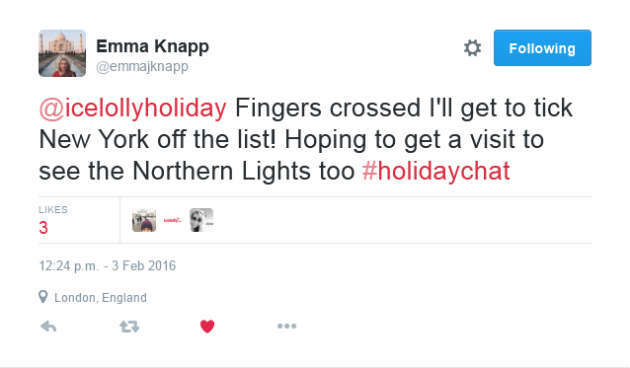 New York's on Emma's list as well as hopefully being able to see the Northern Lights! Does anyone else have Barcelona on their bucket list for this year? Is a bucket list a good or a bad idea? It seems like there's a lot of people that are a fan of a good old bucket list. What do you think? 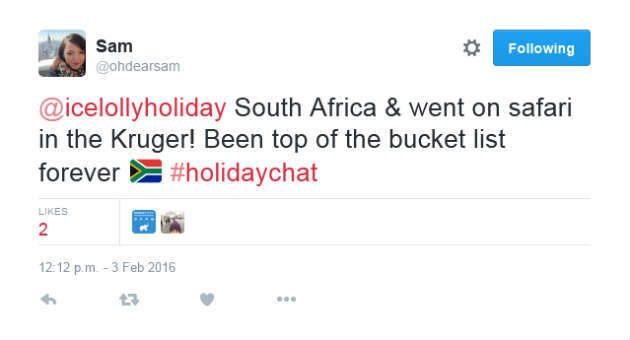 Can you recommend a holiday or destination that should be on everyone’s bucket list? And now Natasha has us dreaming of the beautiful Maldives! 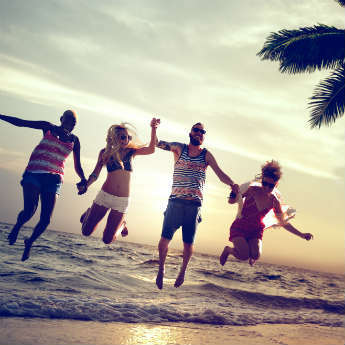 What's your bucket list holiday? Do you have any places you can recommend to everyone else? 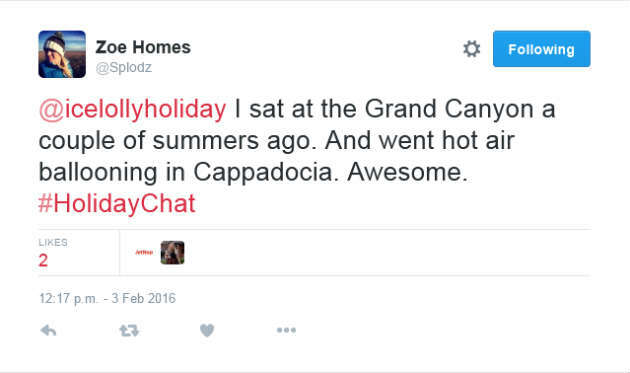 Join us next time for our #HolidayChat which will be on Wednesday 2nd March at 8pm. 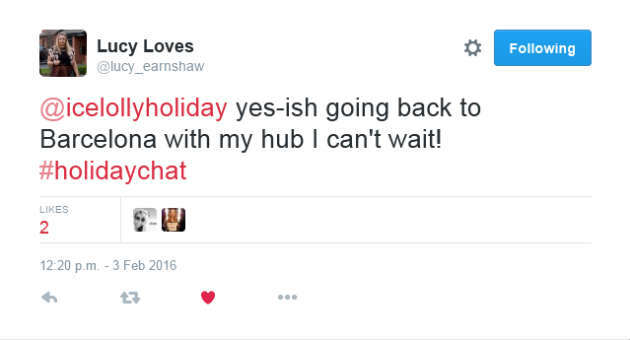 Follow along at @icelollyholiday for updates!